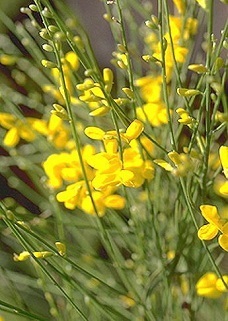 The Gorse on Etna is a symbol of life in Sicily. This type of gorse, which only grows on the volcano, has taken over the dry, lava stone slopes. The resilience of this plant species is a symbol of the life force of Sicily. Sicilians, just like this gorse, can brighten the island with their joy for life, in spite of the fact that, in summer, this land can be scorched by the sun and volcanic eruptions.